Happy Holidays everyone! 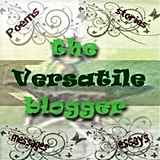 Thank you so much for all your visits and comments over the past year. They have meant so much to me. You are the best! 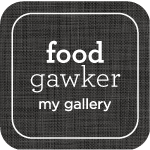 I hope you have great times with your family and friends this coming week, and of course, wonderful food. That’s what life is all about, right? Delicious food shared with those that mean the most to us. What I want to share with you is this Grasshopper Cream Cheese Pie. It has been a little while coming, what with the unsuccessful hunt for the chocolate wafers to make the crust, and the how to make chocolate shards debacle. I ended up having to make my own chocolate wafer cookies, and recommended that you not make the chocolate shards. I think it turned out looking pretty cool after all, though. The chocolate wafer crumb crust bakes up crunchy and buttery. Really tasty. The filling is flavored with Crème de Menthe and Crème de Cacao. 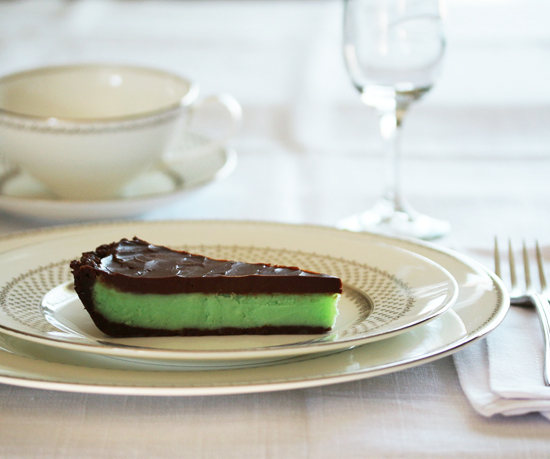 If you like mint, this is the pie for you. Yes, you will have crèmes left over, but you can make Grasshopper dessert cocktails that are to die for. The Grasshopper was my drink of choice when I lived in Chicago in the 1970’s. To make one, fill a shaker with ice and add one jigger each of Crème de Menthe, Crème de Cacao and whipping cream. Shake to chill and pour into your glass of choice. Yum, people. You don’t want those bottles of goodness to go to waste, right? Mix the green liqueur into the cream cheese for color and flavor. It’s really green, isn’t it? Then into the pie crust to bake for 40 minutes. It’s topped with a melted chocolate and sour cream mixture that has just the best consistency. You could serve it plain, as in the photo below, or decorate it in a myriad of ways. I like the idea of a chocolate wafer pressed in upright with a whip cream rosette piped on each side. Or chocolate curls. Or Snickers candy bars chopped up and sprinkled on top. Well, you get the idea. 1. Make the Chocolate Crumb Crust (recipe below) and press into 9-inch glass pie plate. 2. In a large bowl, beat cream cheese with a fork until smooth. 3. Blend in sugar, eggs, crème de menthe and crème de cacao. Pour into Chocolate Crumb Crust. 4. Bake at 300 F for 40 minutes. Cool on rack until room temperature. 5. 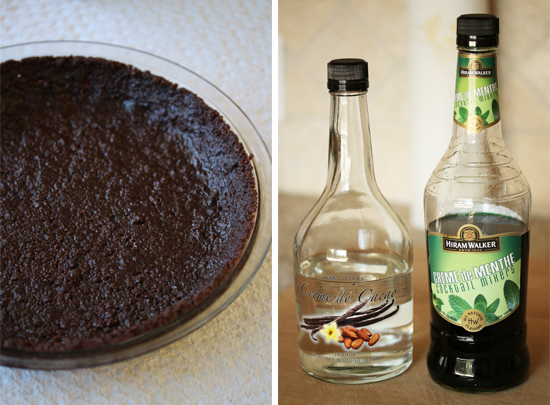 Make the Chocolate Sour Cream Topping (recipe below) and spread over surface of cooled pie. Refrigerate, covered, for 5 hours or overnight. Optional: Embellish top of pie with Chocolate Shards. Or chocolate curls. Or Chocolate Wafers pressed in upright with Whip Cream Rosettes on each side. 1. Combine melted butter and chocolate cookie crumbs, and work with fingers to incorporate. Press onto bottom and sides of 9-inch glass pie plate. I used a plastic sandwich bag to cover my hand. 1. Melt chocolate in microwave at 30 second intervals or over hot water. 2. When melted, remove from heat and blend in sour cream. Oh boy- now we see the end result of your chocolate shards recipe! 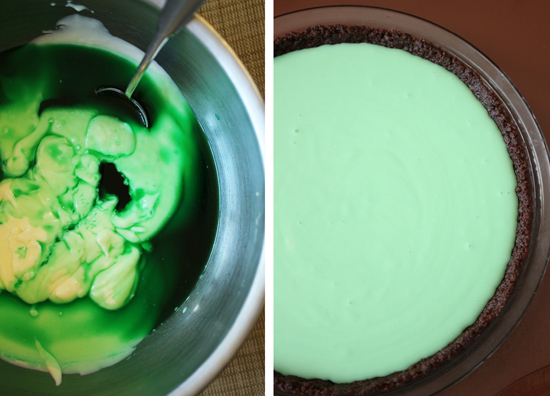 Your Grasshopper Pie looks very easy and delicious. In my (humble) opinion, I think topping the pie with several chocolate curls would look the best! Happy Holidays! “Yum, people!” LOL! ‘Nuf said. This looks beautiful! 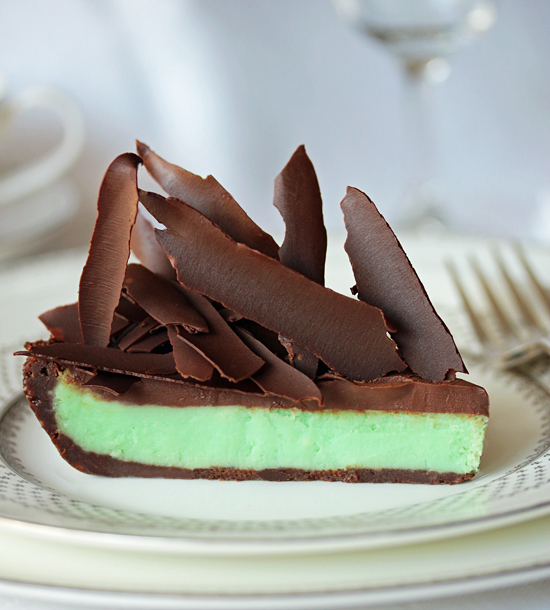 And I have to say that the whole notion of Grasshopper pie brings back loads of memories. I am “of an age” to remember when this was all the rage among housewives! All the best to you in 2015! I know those chocolate shards were a pain, but they do look fabulous on your pie. Thanks for another year of great posts. Looking forward to what you will be making in 2015!